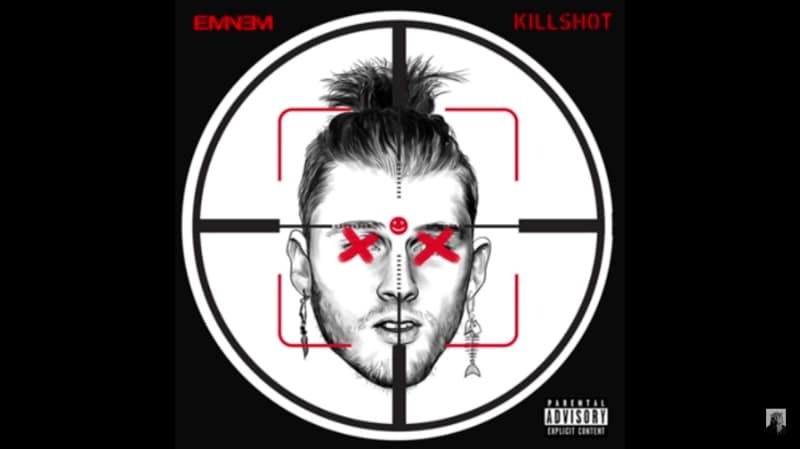 Eminem's Killshot takes aim at MGK's man bun, but is it enough to beat the Rap Devil? 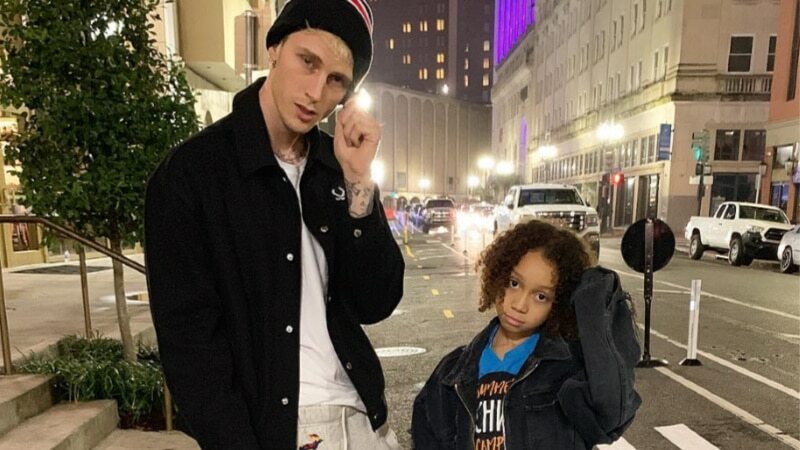 Eminem’s Killshot takes aim at MGK’s man bun, but is it enough to beat the Rap Devil? Eminem, the self-proclaimed Rap God, has finally responded to Machine Gun Kelly’s Rap Devil with a Killshot. But did he kill MGK with his slick lyrics or should be have taken more time to aim? Just one day after Eminem finally opened up about why he took a shot at Machine Gun Kelly on Kamikaze, the Detroit rapper dropped his diss track. This is the response to MGK’s Rap Devil, which was a response to Em’s song Not Alike. It’s not clear yet if we’re headed down the rabbit hole of a back and forth diss track slinging feud but so far, this has been entertaining. Eminem did say that he was only doing this once but what if Killshot is the big loser to Machine Gun Kelly’s Rap Devil? Based on what hip-hop fans have to say about the newest beef, there’s not a clear winner here. In just over 4 minutes, Eminem through everything he had at MGK but was it enough? With quips about MGK wanting to be just like Shady and jokes about his appearance taking up the bulk of the song, it seemed pretty weak. 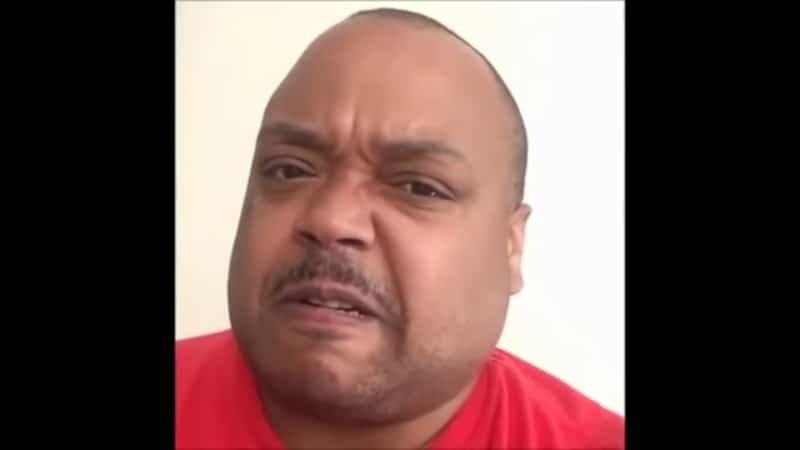 In fact, one might argue that it shouldn’t have taken the greatest battler rapper to ever come from Detroit a whopping 11 days to write it. If he were beefing with Drake, there would have been two diss tracks on him by now. Some fans were hoping Eminem would go harder. After all, Machine Gun Kelly has plenty of skeletons in his closet just based on who he’s dated over the last few years. With easy targets like Amber Rose, Halsey and other high profile women, surely he could have dug up some dirt. Eminem did slide in a Halsey diss but again, he could have gone way harder. However, it’s worth noting just how expertly much of Killshot is crafted. For starters, it was pointed out on Twitter that Eminem’s Swayze line was much deeper than it really sounds. Killshot was actually released on September 14, which happens to be the day that Patrick Swayze died. Was that an amazing coincidence or part of the plan? It gets even better when another Twitter user shares information about the movie Killshot and why Eminem may have chose that as the name of his song. Eminem also made sure to note that even his worst albums have been better than Machine Gun Kelly’s best albums. In fact, MGK’s best album didn’t do too well. Eminem's WORST album sold 267,000 copies. Killshot started out with someone in the background saying “when your fans become your haters.” This is something MGK has never denied. In fact, he even said as much in that old tweet that set Eminem off in the first place. Can you really try to diss someone for admitting they like you and your music? Em latched on to MGK’s former fan status, even calling him a stan. He joked about watching 8 Mile from his NordicTrack as the reason he didn’t call him back, taken straight from MGK’s Rap Devil. On top of calling MGK out for being a fan-gone-bad, he also says that the up and coming rapper is just the lamer version of him. 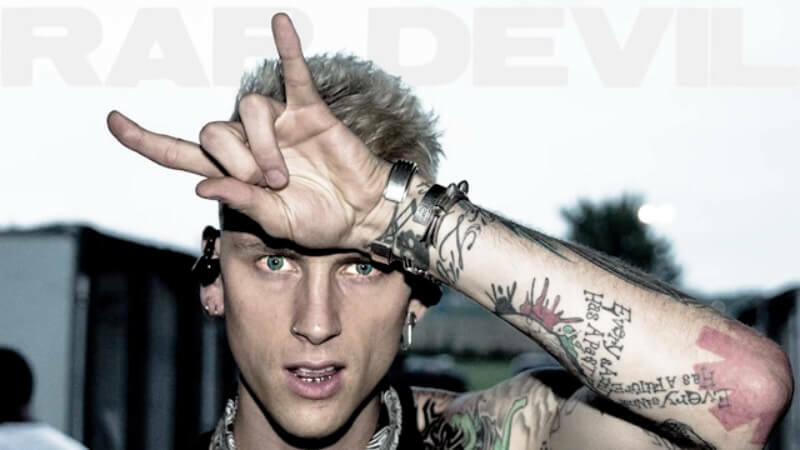 Is Machine Gun Kelly just an Eminem clone? While Eminem is quick to point out his success as an artist, he also denies ever trying to stop MGK from working. It looks like Diddy and Jimmy will have to weigh in on that claim. One thing Eminem definitely did do with expert precision is to take all of the MGK Rap Devil lyrics and flip them around. He played on just about every claim that Machine Gun Kelly made. But did he really ruin the younger rapper’s career? Nah, probably not. Did Eminem land that Killshot on MGK or should he not have said anything at all and let the Rap Devil hold the title this time?